I remember seeing Roland’s guitar-to-computer connectivity for the first time. It seemed almost magical. Guitarists could pick up their main instrument and enter lines into notation software, or replace the sound of an instrument with a synthesized one, or track into a sequencer. It didn’t distract from their musicianship, because it showcased that skill. It was remarkable partly because it was so intuitive: why shouldn’t a guitarist benefit from the same flexibility I’d enjoyed as a keyboardist? It’s funny, because people do complain about trekking to yearly trade shows just to see a revised version of the last model. But if it’s something like a guitar synth, gradual maturity may be just what you need. That’s assuming, of course, Roland is delivering in practice what they’re promising in paper; since this is just a preview, here’s what’s in the specs. COSM, Roland’s analog-modeling tech, applied to guitar effects. Use four sound sources at once: two PCM synths, a COSM guitar model, and guitar input. 900 Roland PCM sounds, so you get access to Roland-sounding presets. Multi-effects engines, global reverb, chorus, delay effects, onboard looping. Use the GR-55 as a MIDI controller. USB audio player with foot control, so you can queue up backing tracks. MIDI and audio data connection via a USB port, too (that’s separate from the port that plays audio. Optional GK-3 divided pickup for use with your instrument. 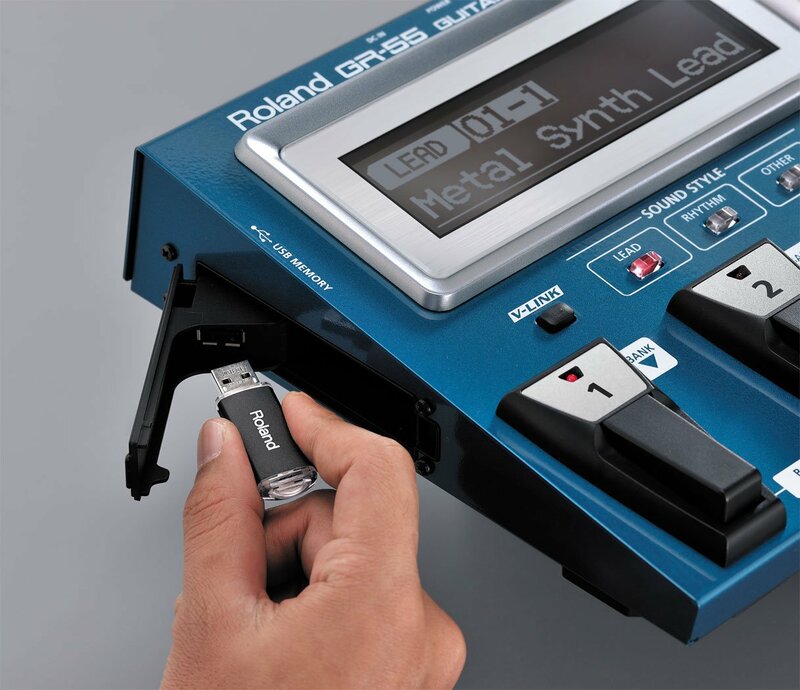 Independent USB ports provide data connections (audio + MIDI) and your USB memory stick (as seen here, for playback of audio). The combination really can be expressive in ways a keyboard can’t. 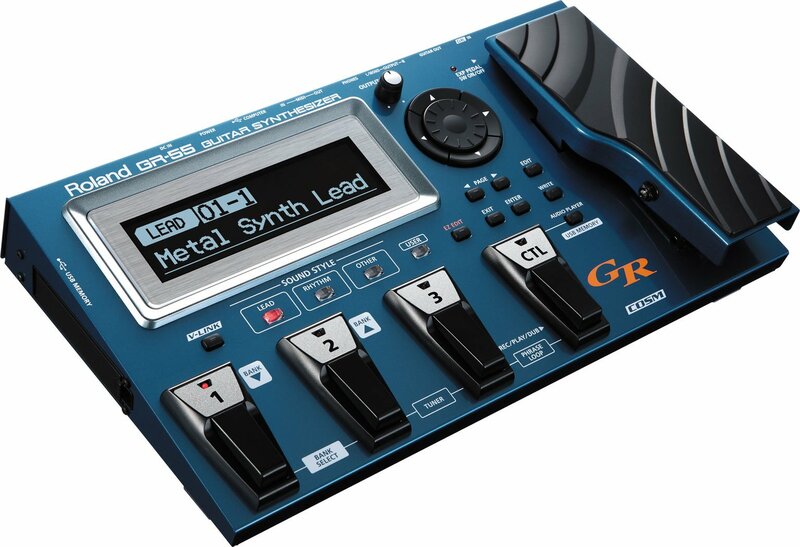 At the same time, reading through the architecture of the GR-55, I get a strong sense of deja vu – this is a Roland synth architecture, make no mistake. I find these kinds of solutions generally do appeal to a subset of guitarists, not everyone, so I’m curious to hear who out there is interested and what else you’d want to know as this gets out into the world.